Are You Interested in Buying the Best Therapeutic Quality Essential Oils? If you are anything like me you like the best for your family. I don't want to take any risks around quality. There's just so much n the market that isn't safe! Essential oils are something I use directly on our skin, right into our lungs, and sometimes we ingest them. For these reasons I want the highest grade essential oils, and I will pay for it! I wrote a blog post called "Essential Oil Tips for a Healthy Family" where I go into many details about what they are, how to use them, what I use, etc. I invite you to read it if you have these kids of questions. As always feel free to reach out to me directly if you have further questions, contact me. If you want to cut straight to it and get my source here is a special link that brings you directly to Young Living's Essential Oil Home Page. It's on this page you will see some of my top favorite oils and diffusers. You can order them at retail price and get them shipped directly to you so you don't have to go through me. You can also let me know if you want a certain oil because I keep many on stock. If you are interested in getting essential oils at the best deal, I highly recommend signing up. It's free to sign-up when you order one of many kits! My favorite kit is the Premium Starter Kit with Home Diffuser because you are basically getting a free diffuser, which is about $100. It has everything you need to get started with essential oils. It comes with a whole heap of products. Besides the diffuser you get 11 (5 ml bottles) Essential Oils that are the most used. These include single oils of: Lavender, Peppermint, Lemon, Copaiba, and Frankincense. And Blends of: Thieves, R.C, Di-Gize, Pain Away, Purification, and Stress Away. Then there are sample of other products, essential oils, and some other goodies. It's all for $150! 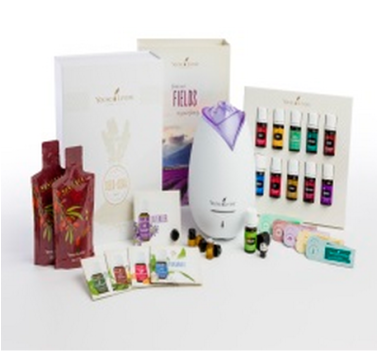 To get your kit today, simply sign up at Young Living's main website using my member number 954264.